Get matched with the world’s greatest small business marketing consultants to help you execute the robust marketing plan you’ve always wanted. The master consultants have achieved the highest level of certification awarded by Duct Tape Marketing and have mastered a repeatable, consistent approach to marketing. 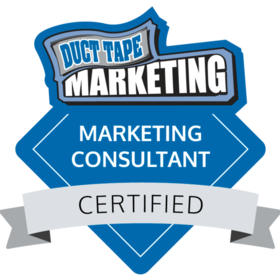 The master consultants have passed the training all certified consultants go through along with completing the 1-year master program by demonstrating excellence in Duct Tape Marketing.